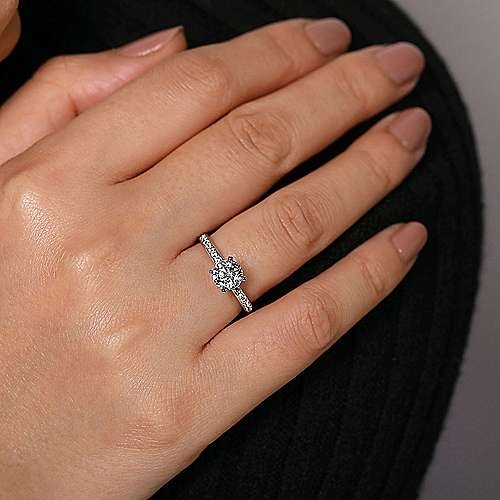 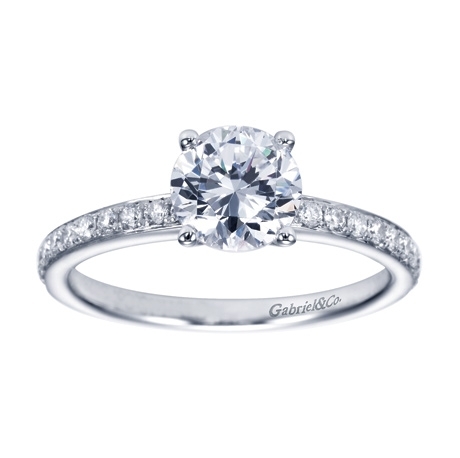 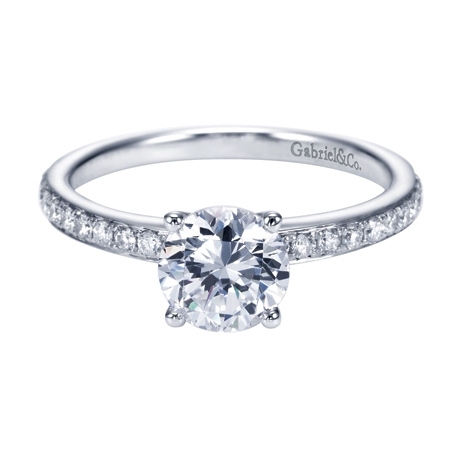 This straight contemporary engagement ring is anything but simple. Adorned in 22 round brilliant diamonds, the delicacy of this ring comes from the elegant weaving of diamond over white gold.. 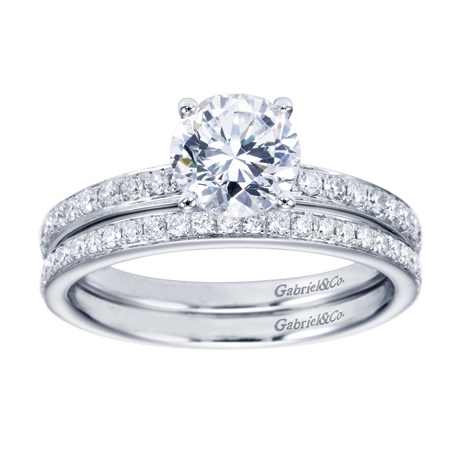 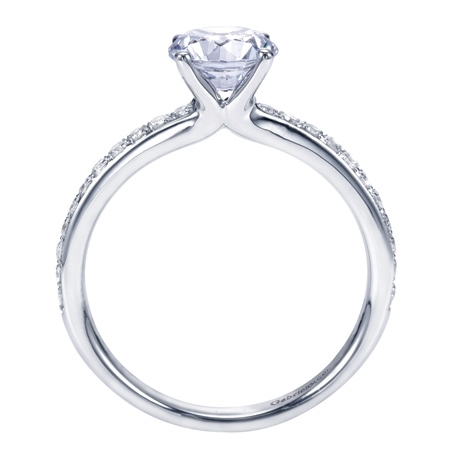 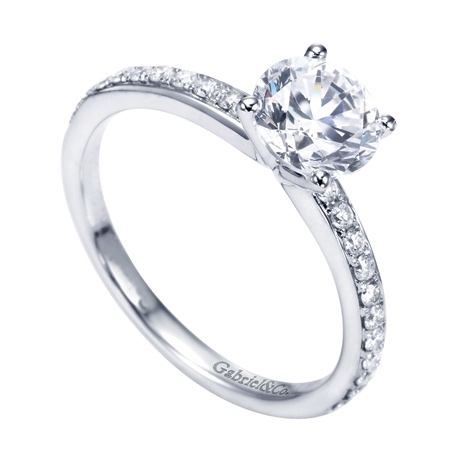 Round brilliant diamonds join hand in hand to create this contemporary straight white gold engagement ring.